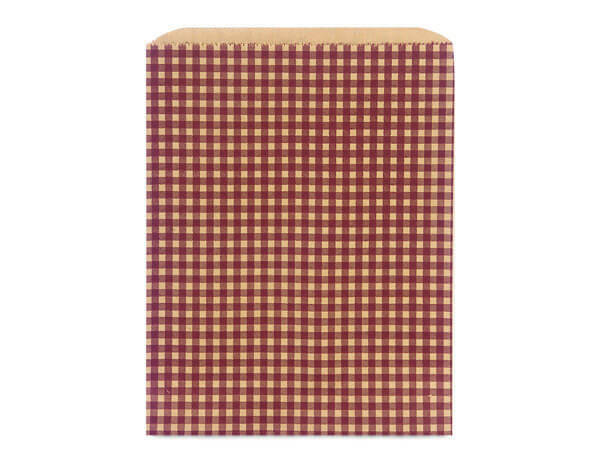 Burgundy Gingham Kraft Paper Merchandise Bags, 8.5x11"
8-1/2x11" Burgundy Gingham Paper Merchandise Bags by the carton. Natural Kraft bags made of recycled material. Green Way ® Eco-Friendly Packaging. Made in the USA.